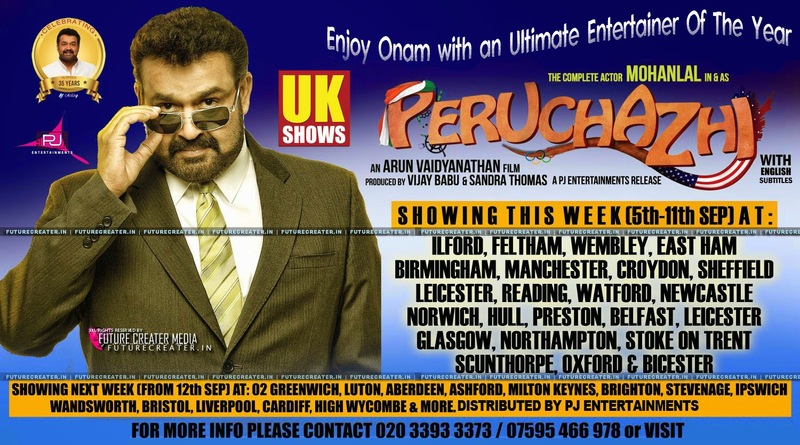 As per the reports from national wide & USA box office Mohanlal’s starring Peruchazhi collected over Rs. 10.70 Crores approximately. Declaimer : We noticed that some of them copy-pasting the whole contents of our site without any permission. We will already submitted reports regards that. If you do it further we [ FUTURECREATER.IN] will take legal actions against that. Contact us : 8129676609 , 7795470237.